Adrenalin junkies. Sometimes it seems like its a requirement to be heavily inked, fully pierced, leather-skinned, and a big fan of phrases like "that was so sick", "unreal, man", and "aw, dude, I've heard about that jump --it looks so ill!" These guys and gals flock to freefalls, half pipes, and semi-dangerous situations around the world, looking to cause that big release by pursuing adventure, sometimes at a lofty price. I never thought I would be one of these people, but then again, I never tumbled out of a plane voluntarily...until now. It seems a little daring or presumptuous to try describing a feeling that can only really be experienced to be known, but my awesome job is to tell you what there is in the world to do. Well, alright then. I'll give it a go. You go up in a plane. You don't land with the plane. You sit backwards without a seatbelt on a tiny aircraft (where the pilot also wears a parachute), and as the altimeter reaches 10,000 feet, you open the latch to send the door flying upward. Then you throw your knees over onto the wheel step, rock backwards, and tumble towards Earth. All of these things sound very wrong, no? They are. We, as humans, were not made to do these things. 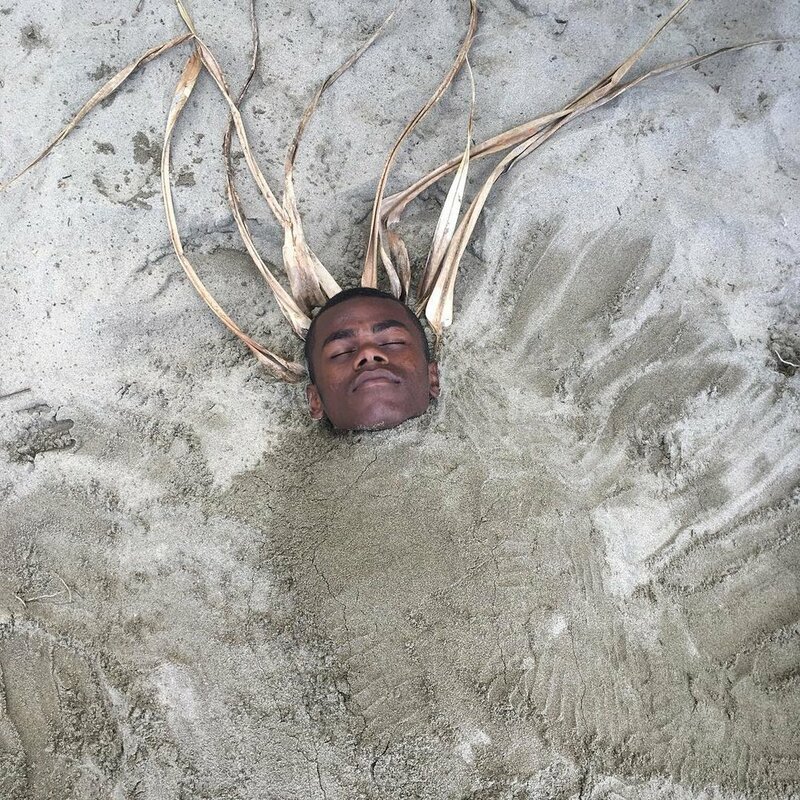 If we were, we would have evolved wings or really big nostrils to float us down to land. But that's the whole thrill. Sky diving is doing what you're not supposed to do. Plummeting towards Earth is a bad idea, one that can result in a massive boo-boo, and you should totally do it. For some odd reason, I wasn't all that worried about this, the biggest freefall of my life. Carly Mills, of STA Travel (as well as our hilarious travel partner this week), was petrified, and I think being around someone who was more nervous than I made my worries seem pretty easy to handle. I don't think I gave much thought to the image of the open air under me, and that certainly helped. I knew I'd be safely brought down to South Africa by my tandem partner, Donovan from Skydive Plett, who had jumped over 6,600 times before. Whoa, boy, that's over 55 hours of airtime. And not only was this my first time flying through the skies, but we were jumping at one of the top two highest ranked drop zones in the World (along with Cape Town). The scenery was teal, mountainous, and capable of making your heart fly higher than it already does after a 35 second free fall. We were supposed to look for whales up there while parachuting to safety, but I was too engaged in my own disbelief of what just happened. We landed perfectly, a few steps to a complete standing stop, and I yelled my amazement to all the men at the bottom who hear these exclamations every day. And that was it. 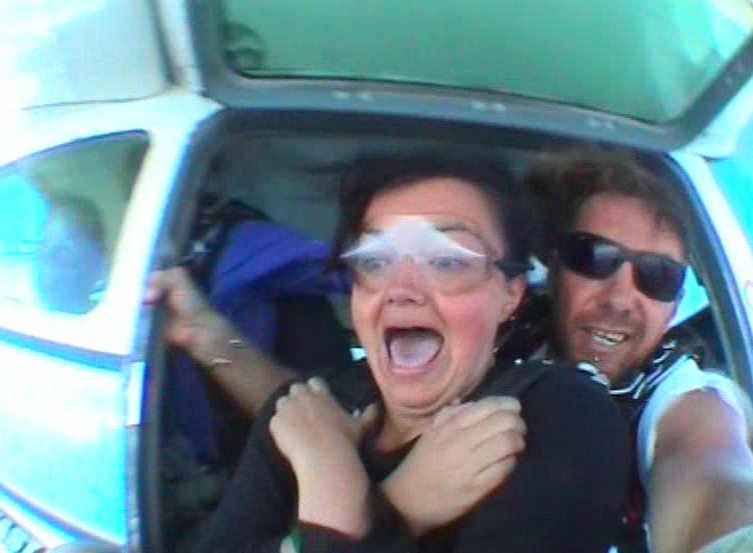 I jumped out of a plane. Nuts. Simply nuts. I'm hooked. I'm going again soon. Darn this new expensive hobby! A big thanks to Skydive Plett!